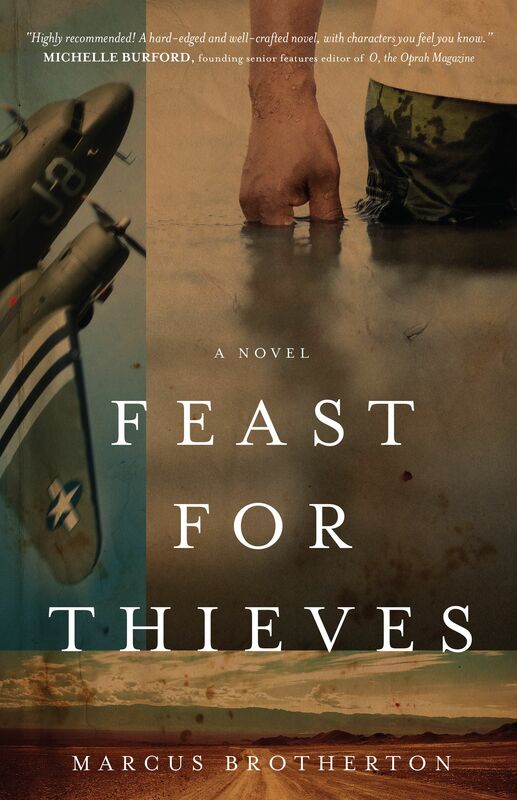 Feast for Thieves is the first work of fiction from Marcus Brotherton; who’s best known for his non-fiction work, especially his works chronically the lives of the men of Easy Company, 506th PIR, 101st Airborne better known as the Band of Brothers. If you enjoy the HBO Miniseries “Band of Brothers” and/or the Stephen Ambrose book it is based on, Marcus’ books are excellent additions to the stories of those men – giving greater detail into who they were, what they did, and how they lived after the war. My favorite is probably Shifty’s War, about Darrell “Shifty” Powers’ life before, during, and after the war. Feast for Thieves uses the stories and personalities Marcus has accumulated for his time sitting across from the men of the Greatest Generation to create a story of the most unlikely of Pastors in a small Texas town. The title character is Rowdy Slater, a paratrooper who fought, caroused, swore, and drank his way across Europe only to end up back in the States after a dishonorable discharge and no prospects for work. Desperate he teams up with an old prison mate to rob the bank in Cut Eye, Texas. After robbing the bank the two are separated and Rowdy has a crisis of consciousness and returns the money. The town’s Sherriff, presses Rowdy for his story and see in him an opportunity to redeem both the man and the town – so he makes Rowdy the town’s preacher. Guiding Rowdy in his duties is the Sherriff’s daughter, a feisty young woman with her own ideas and deep confidence. As he slowly learns the skills to pastor the small flock, Rowdy finds purpose and even success. His skill at fighting wins him converts amongst the tavern going men of town and his plain and simple preaching keep them in the pews. Of course Rowdy’s past catches up with him and the story heaps all sorts of troubles on his head before the end. Feast for Thieves is a great redemptive story and the adventure aspects are well written, paced, and exciting. My one complaint would be that we don’t get to experience more of Rowdy’s growth as a preacher and pastor. We get to see his faltering first steps but a lot of his work afterwards is not fleshed out. This does provide more time for key scenes with certain figures such as the Sherriff’s daughter and a grieving father, as well as several exciting action scenes; it just would have been nice to walk alongside Rowdy more as he figured out his faith as he tried to share it at the same time. This is a Christian book, however Marcus does a wonderful job of presenting faith with subtlety and grace. 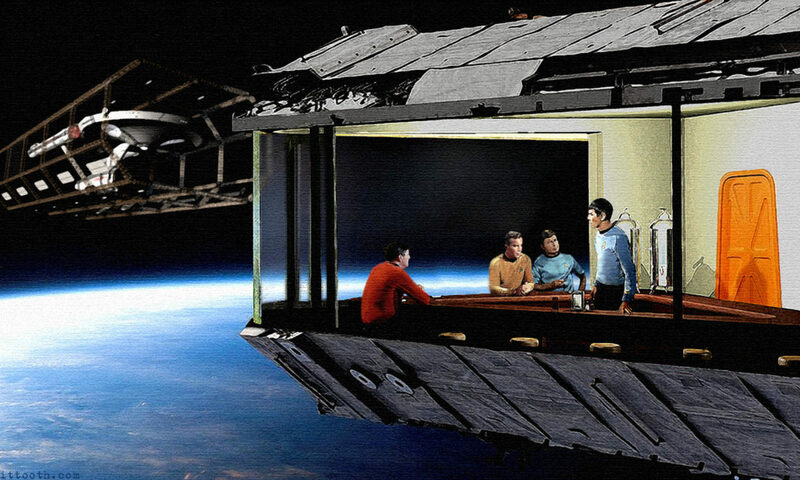 You’re not beat over the head with it, but it permeates the whole story as if it were part of the landscape. I enjoyed the book, the characters, and the way the story unfolded beside my one complaint (which is understandable really, reading a 700 page book would be far more daunting, so I’ll let it slide… this time), so I would recommend it and hope to read the next chapter in the life of Rowdy Slater. Previous PostPrevious The New Fantastic Four Trailer Is Out! Next PostNext Don’t Visit Pompeii!